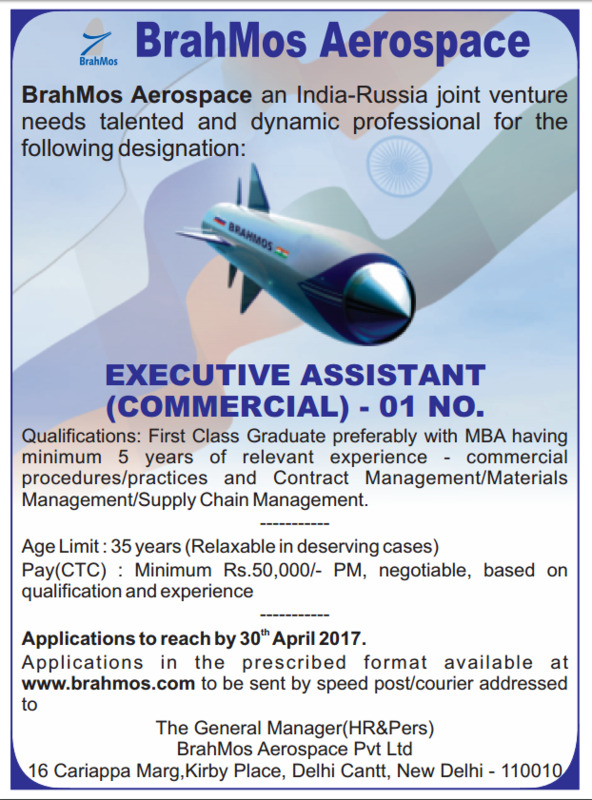 BrahMos Aerospace Private Limited has issued an employment notification for the post of Executive Assistant (Commercial). Eligible and deserving Job Seekers who are interested to apply for the post they can apply on or before the last date. Job Seekers should have qualified Graduation and MBA.